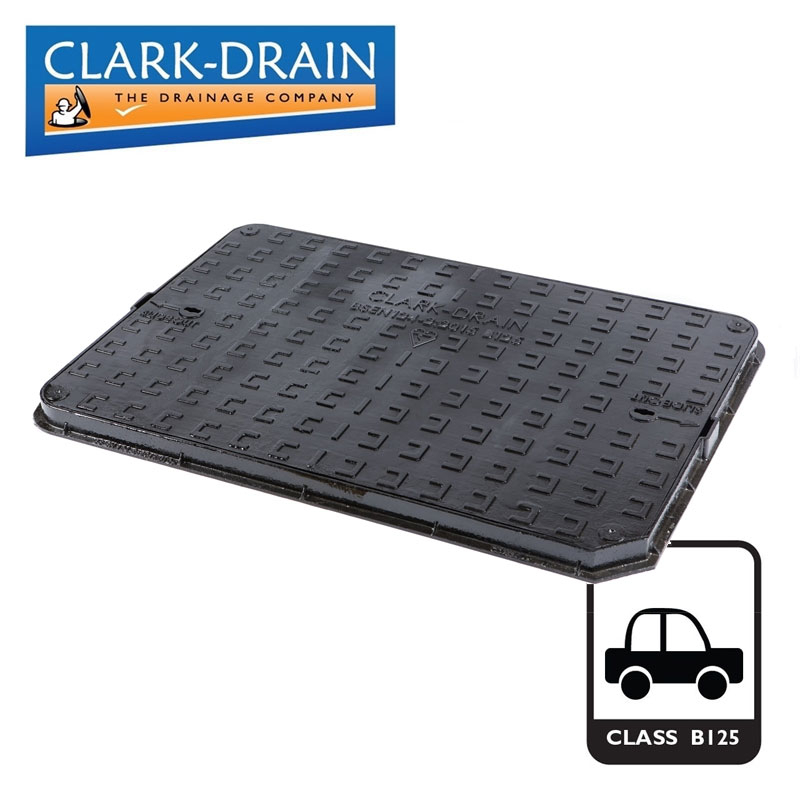 This Clark Drain manhole cover and frame comes in cast iron, and is suitable for load class B125 - this means it has a maximum weight load of 12.5 tonnes, and is suitable for situations such as domestic driveways, where it will be driven over by family cars, 4x4s and other similar vehicles. As with all Clark Drain covers, This manhole cover and frame has been designed with strength and durability in mind. This Clark Drain manhole cover comes with a solid cover, made from ductile iron, and has been finished in a black bitumen coating. Cover: Solid top. Ductile iron.